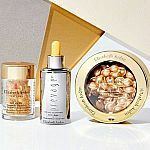 Nordstrom has 15% Off Select Beauty (Estee Lauder, Lancome, MAC, Shiseido & More). Plus pick free 5 sample at checkout. Shipping is free.